Back in our working days, we would grab a week (or two or three) and head to some very fun places. We are going to feature those in a Throwback Thursday post every now and then. Today, we head to Florida for spring break! 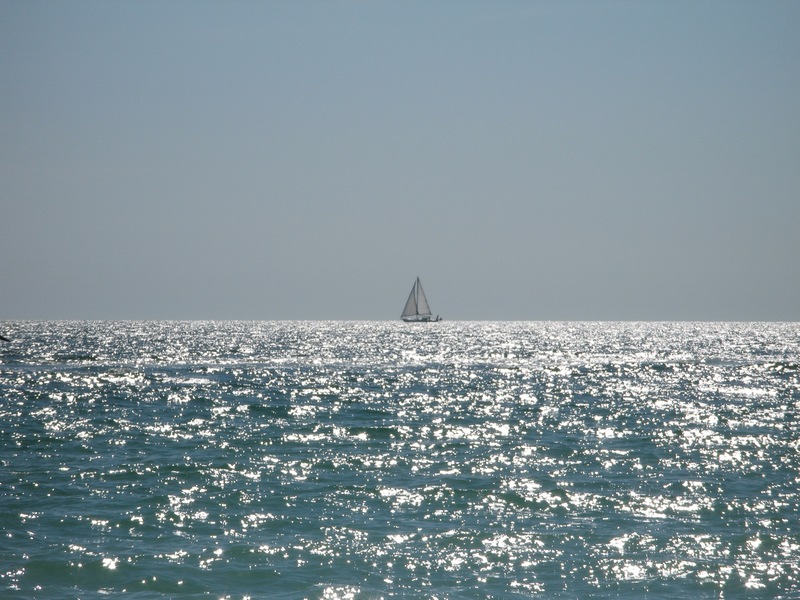 One of our favorite spots to head was Dunedin, which is located south of Tarpon Springs and north of Clearwater. 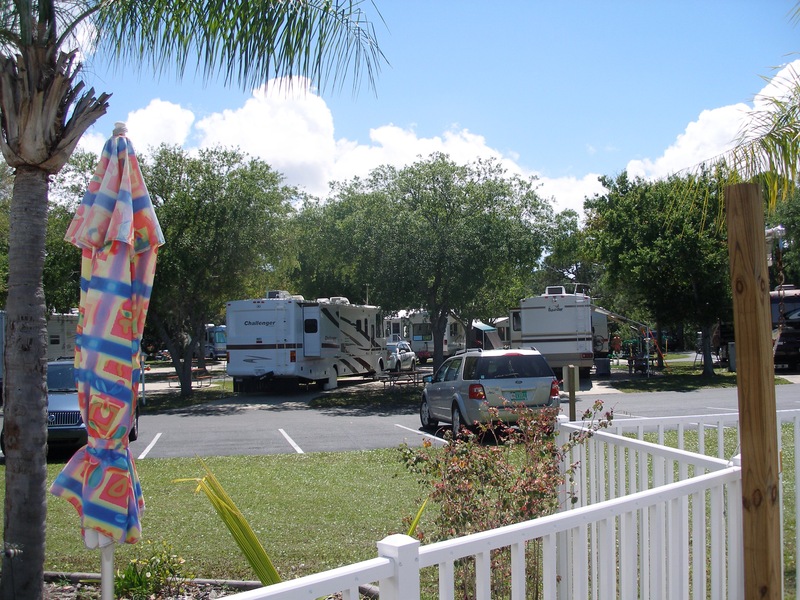 We had discovered the Dunedin RV Resort, and stayed there a few times with our Sunline travel trailer. They had a great pool (no hot tub) that they shared with the Blue Moon Inn that was out by the road. 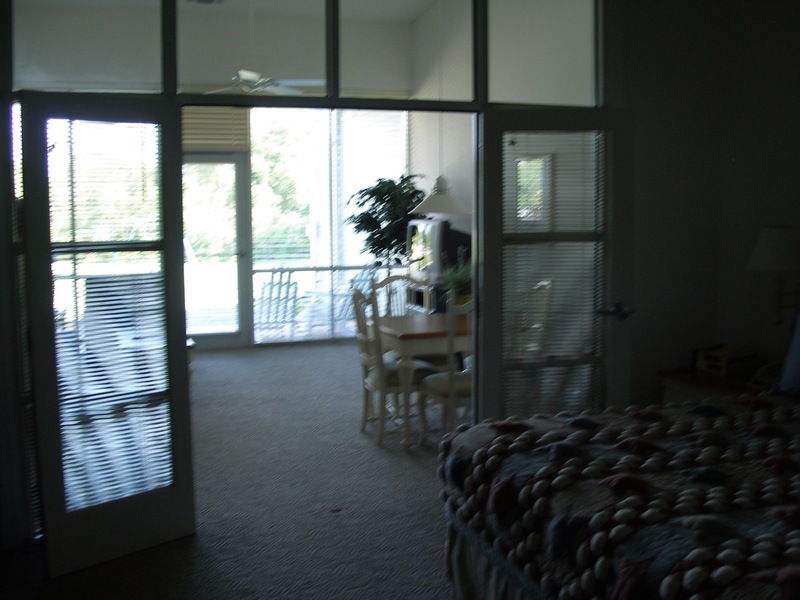 Both facilities were owned by the same family, and have since been purchased by Carefree Resorts. After using the inn one year for Diana’s family, we decided trying to haul the trailer from Michigan to Florida for 10 days was too much. The ice and snow we ran into on our way back the last trip confirmed that decision. We started flying to Tampa after that and staying at the inn. 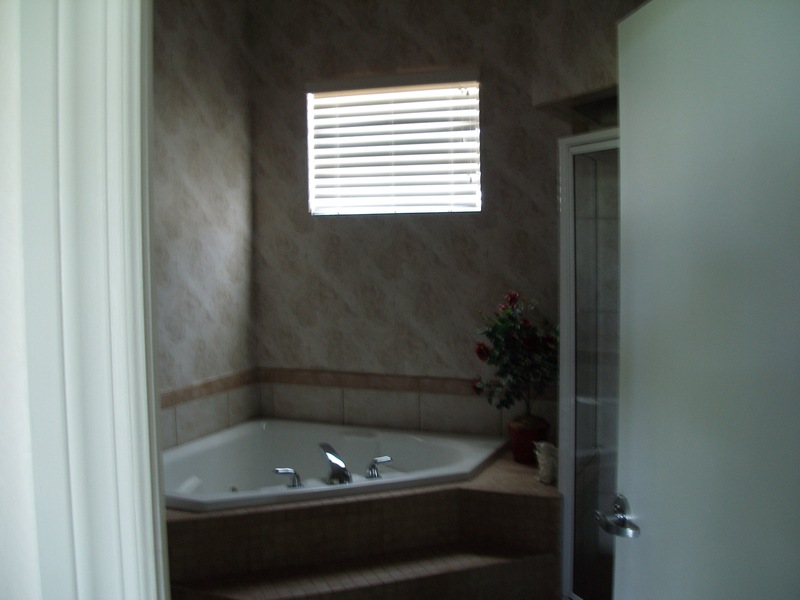 …and walk in showers. They also had a nice breakfast every morning, especially when the family owned it. 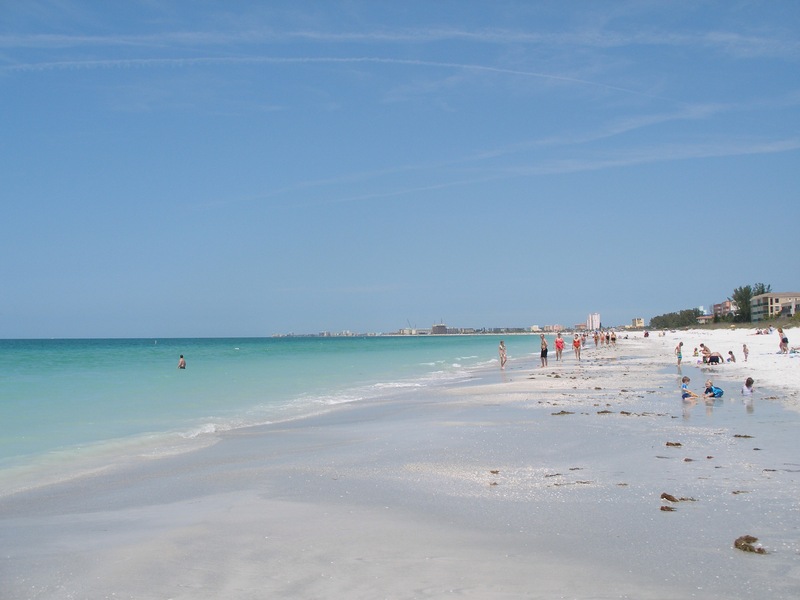 The resort was very close to the Fred Marquis Pinellas Bike Trail, and also Honeymoon Island State Park. The causeway to the island was a great place for a stroll, and the island itself offered decent access to the Gulf. 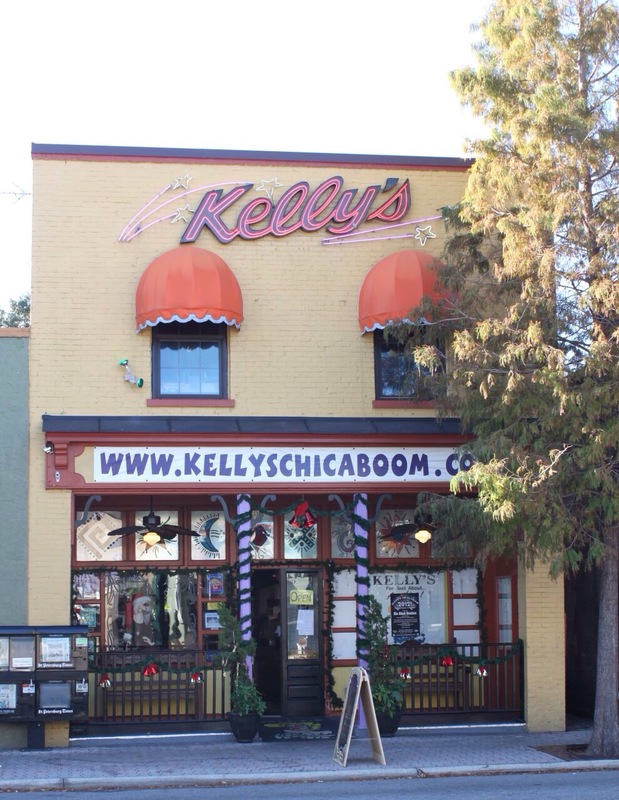 A favorite restaurant of ours in Dunedin was Kelly’s For Just About Anything. The atmosphere can best be described as ‘eclectic’, and the food is outstanding. We have eaten there more times than we can count, and we have yet to be disappointed. We recommend eating on the back patio. It is a great experience. They are open from breakfast through dinner (and beyond). They have a full bar. 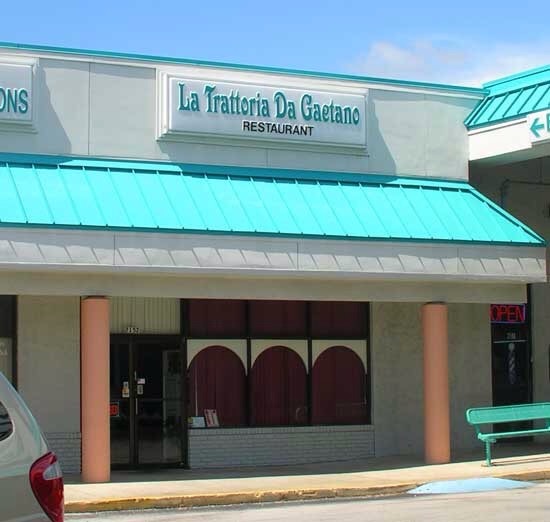 Another spot that was recommended to us was La Trattoria da Gaetano. …and proceeded to tell us what he could make for us. No menu, so we were unsure what it would cost. It was outstanding. I had Veal Marsala, and I could hear him in the kitchen, pounding away at the veal to tenderize it. If you go, look for the peephole in the painting on the wall. It goes through to the kitchen, so he can see who is coming in the door, or when you are ready for your next course. We got out of there, with wine and a healthy tip, for around $100. That was a good 10 years ago. 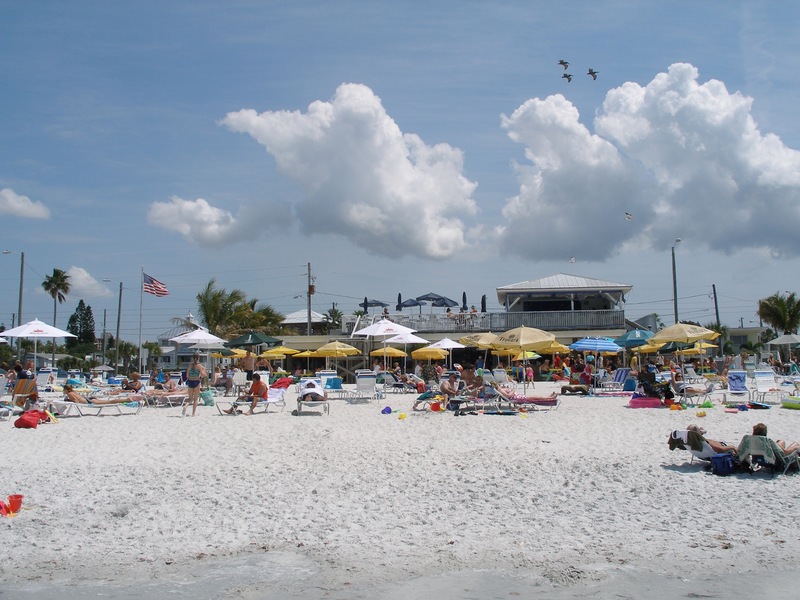 Our favorite beach spot in that area is Caddy’s On The Beach. 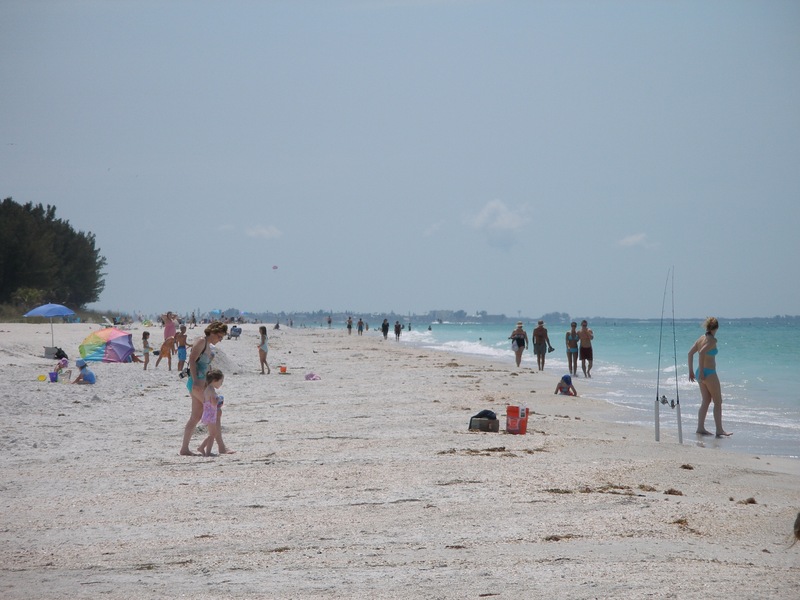 This little gem is located in Treasure Island/Sunset Beach, immediately north of St Pete Beach. It is a 25 mile drive from Dunedin, but well worth it. Parking is $5, and you get a $5 coupon for food or drink. The chair attendants work for tips only. Quite often, we would get there at 10 AM and stay until 6 PM. You are allowed to bring buckets of beer from the bar to your chairs. 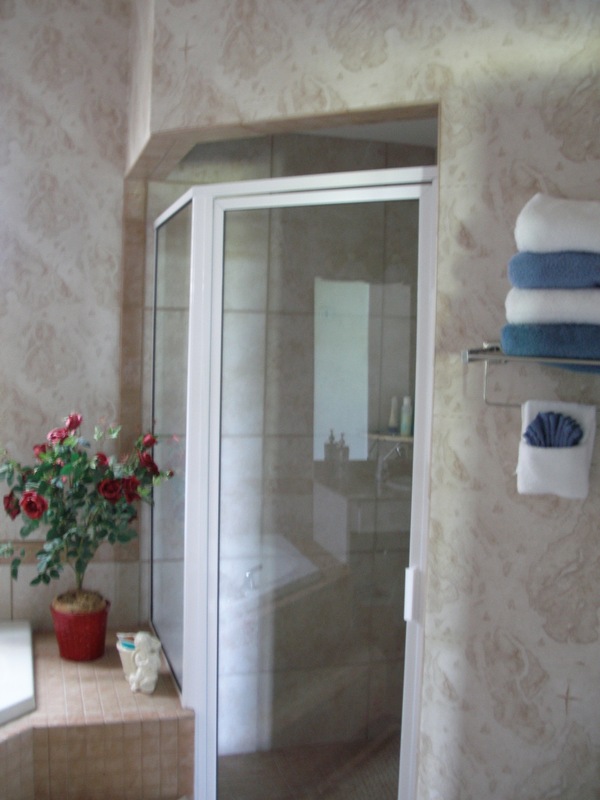 As long as you kept your towels on your chairs, you could leave them unattended and not worry about losing them. …or quite a ways north. 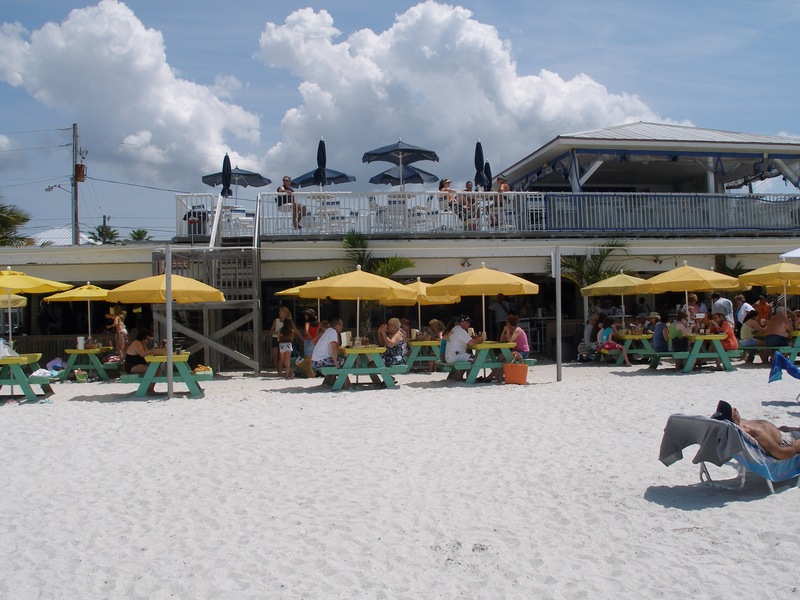 The food was always decent for a beach bar, and there was usually a musician playing island tunes. Definitely a great place to lose yourself for an afternoon. And it was tough to beat the view! That all looks so great to me, but I am sick and tired of being so cold here in Upstate NY! Looks like a nice area with some good food and drink options. I like the Thowback Thursdays, especially of the warm weather locations! Cool! explorvistas@gmail.com. Thanks! We always love coming there! 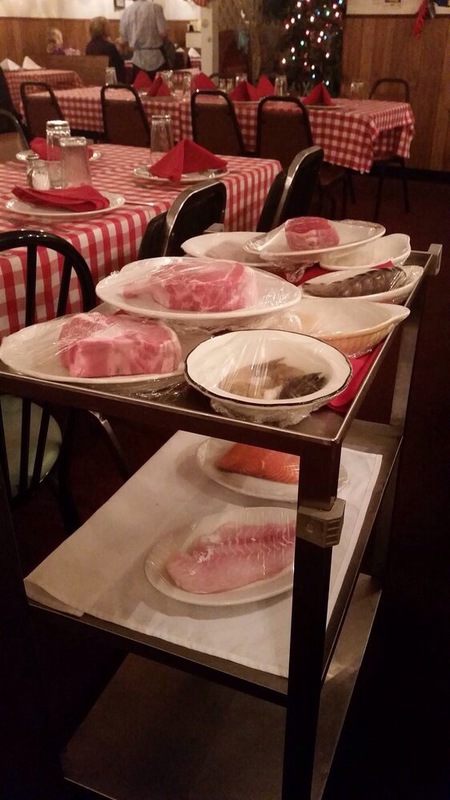 Gotta love a meat tray! Those beaches look great! Just stand in front of the fireplace and close your eyes and pretend you’re back there! And the sound of the furnace is the surf crashing on the shore! :). Loved your NOLA post…we have been a lot of places, but have yet to make it there. That campground looked really good! Nice story Jimbo and Diana! Thanks, Mike! We will have to get you and Cindy to Caddy’s sometime. You guys would love it! Definitely a great spot to chill for a day!